Welcome. It's cluttered, yes, but the windows are open. If I'm not here to greet you, it's usually because I'm squinting in front of a monitor, scratching my brain in an attempt to get something written. From time to time I finish things, and you can read them below if you like. You can find more stories, flash fiction and microfiction on the Published Work page. 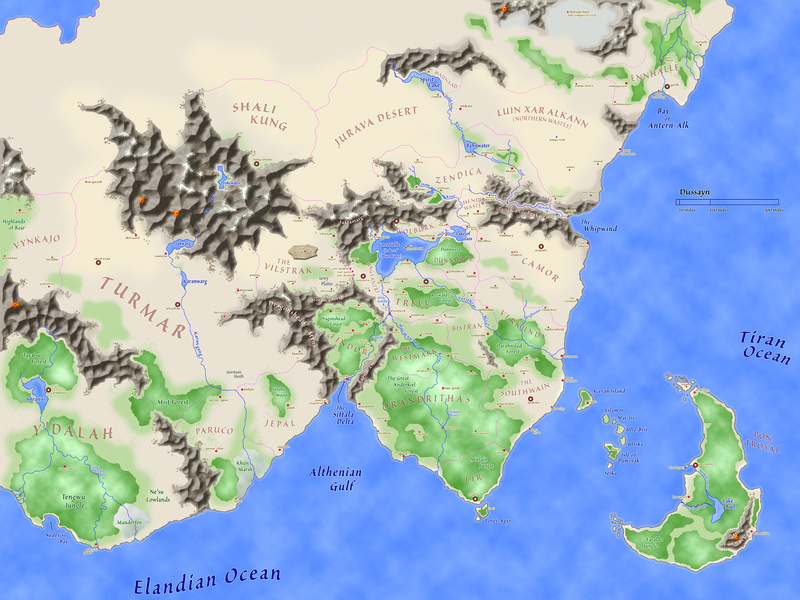 My stories of heroic fantasy take place on a continent called Dussayn: roughly twenty-seven lands, each with its own languages, customs and turmoil, united by a common language called Trade. 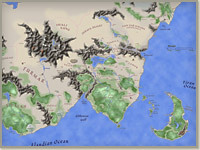 Details regarding the lands of Dussayn can be found here (password required).